It’s a day of celebration today as we continue our final day of our countdown for our upcoming Sign on Day. 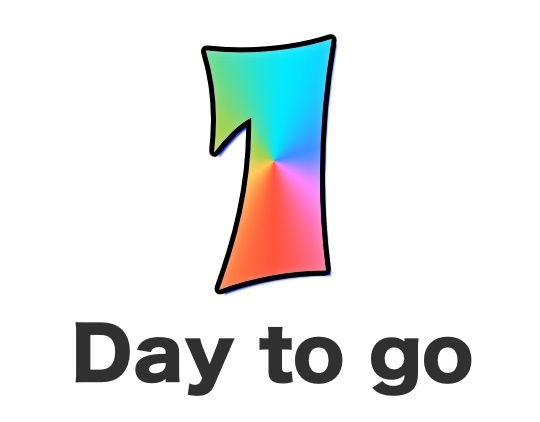 We have had a lot of fun sharing this countdown with you all and we hope that you have also enjoyed it. Below, are few photos of some of our team members that you will get to work along side of tomorrow. They are all real people, just like you. They all have their own ups and downs, but what makes them so inspiring to us is their ongoing commitment to grow themselves and have a positive impact on others. A quality which many of them display ongoing – is the habit of “patience” and choosing to do “productive activities” whilst they wait for their break through moment. There have been times when some of these people didn’t have the strength or know how when it came to helping themselves as they navigated through life’s storms (us included). We don’t always know what to do to push forward towards our goals. So, what do you do when you feel stuck or you are not clear on your next step? We keep it simple, “we do what we know we can do and let go of the rest”. This varies for people, but a great way is to take the focus off yourself a little and focus on how you can help someone else with the skills and resources that you do have. Helping others, helps you. So many break through moments present themselves when you choose this path. Another great way is to “refocus”, “keep turning up” and “ask for help”. When you combine this with effort and time, you will bring about change in the perfect way and in the perfect time for you. We know that you will be inspired by all of these people mentioned in this post when you meet them tomorrow. You may even notice that you have similar qualities and experiences to some of these people. Be sure to make an effort to connect with these people in the dojo. To begin, it only takes a smile. 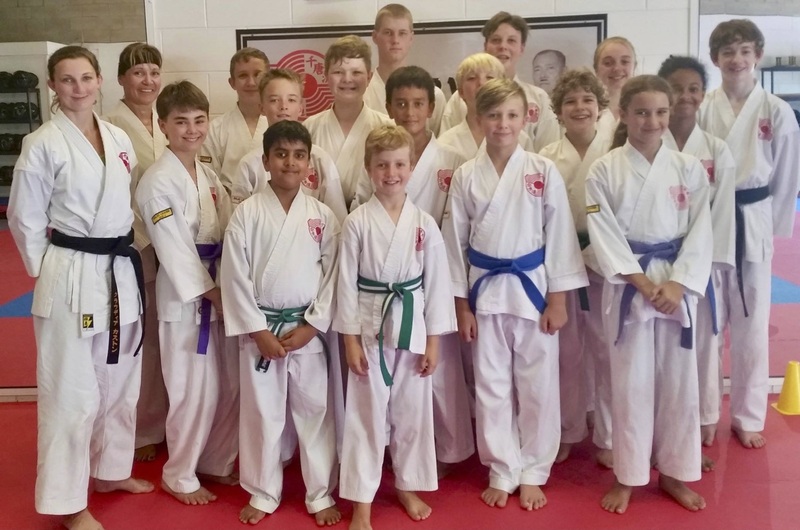 Sensei Helen O’Grady (Nidan, Jun-Shidoin) celebrating with some of our amazing karate kids. 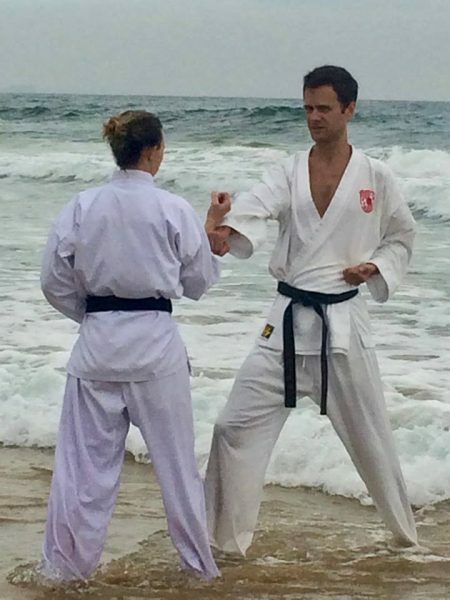 Senpai Matthew Stevenson (Shodan, Trainee Instructor) enjoying beach training with Senpai Klaudia. 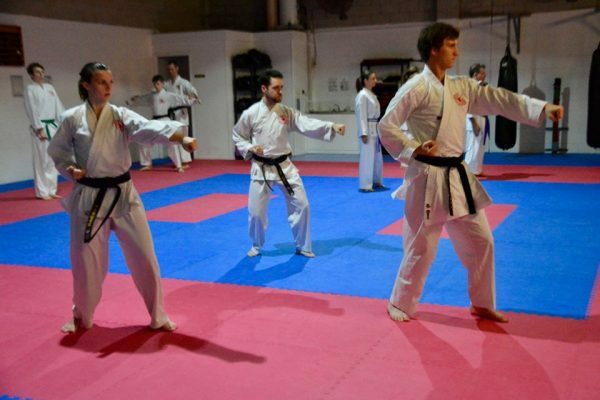 You’ll find Senpai Matt helping out in the teen/adult classes. 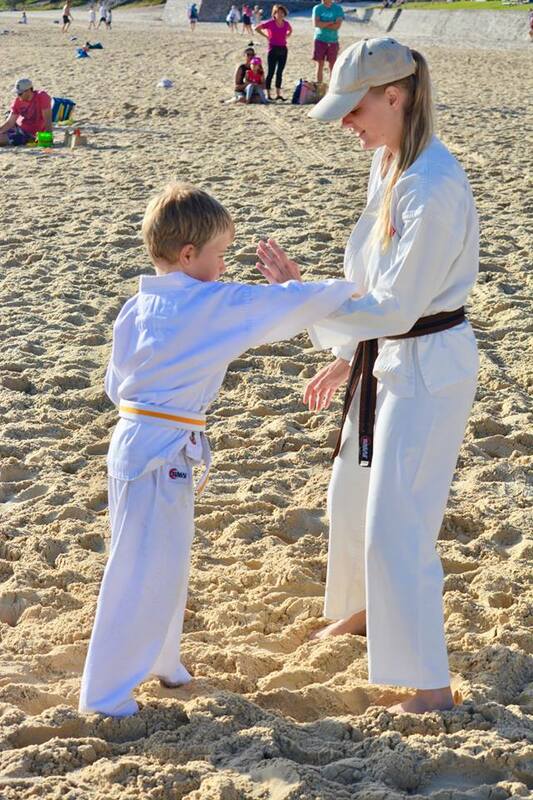 Senpai Bailey Keefe (Jr Shodan, Trainee Instructor) helping our Little Champions get familiar with bogu training. 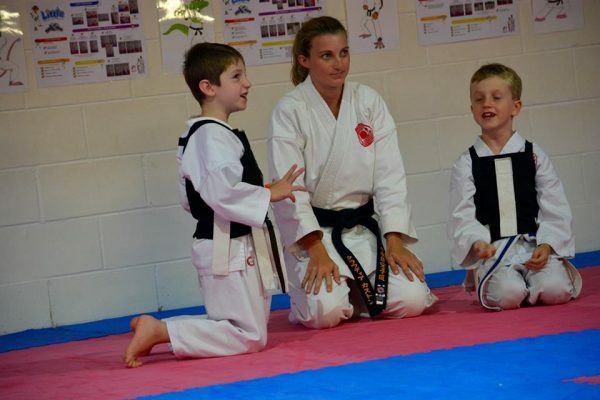 Senpai Klaudia Caston (Shodan, Trainee Instructor) helping our Little Champions get a little strategic with kumite tag. 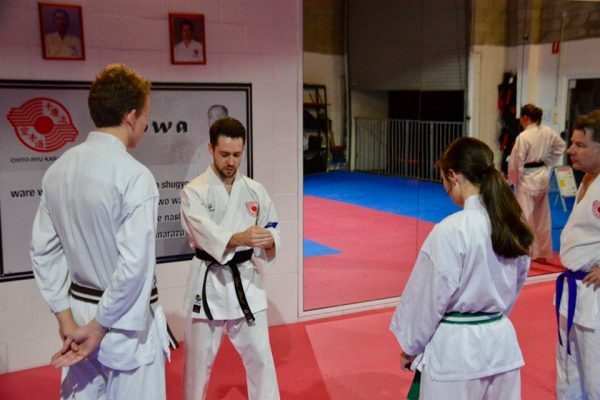 Senpai Jack Graham (Shodan, Traineee Instructor) helping out some of our intermediate/advanced karate kids. 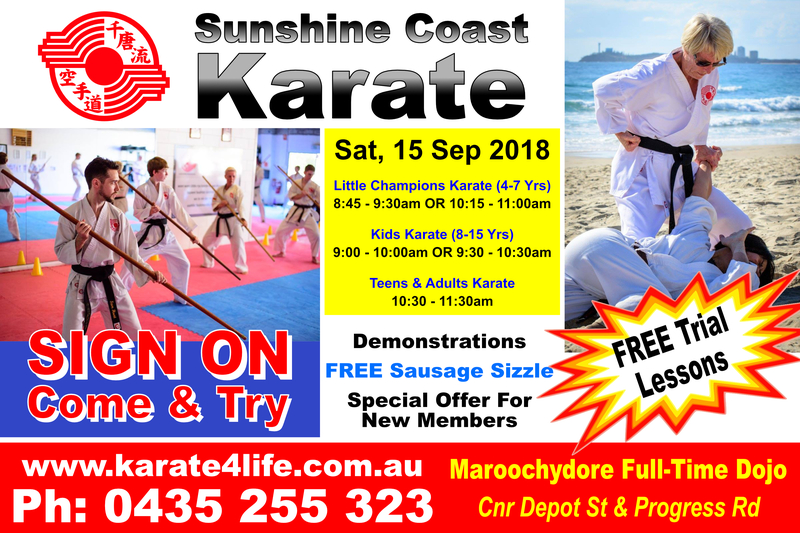 All students have the opportunity to participate in our Sunshine Coast Karate leadership program from 9th Kyu (green, white stripe belt). 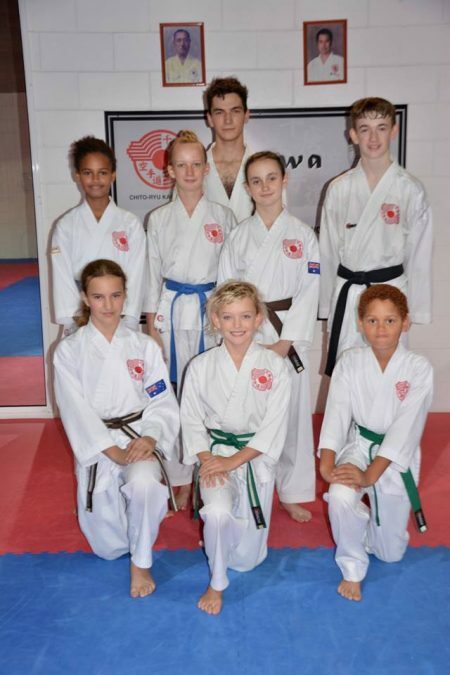 Pictured below are a few of our junior leaders “making a difference” in the dojo. 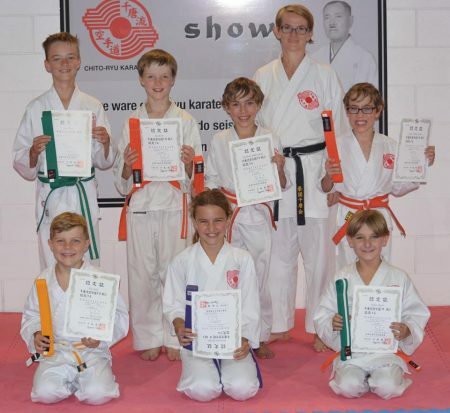 They are a great help and we hope that they continue on and become instructors in the near future. At the Sign on day, you will get to see some of these leaders in action. 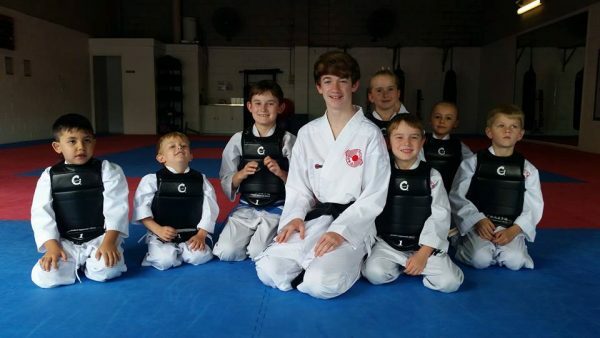 They always amaze us when it comes to balancing “Fun and Focus” in the dojo.